Here is a list of the bourbon distilleries and brands that we currently plan to track. Simply leave a comment below to tell us what we should add. We are looking for those distilleries/brands frequently traded on the secondary market. Note that this post will be kept updated until we found all the distilleries and brands that we want to include. 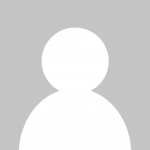 This topic contains 10 replies, has 6 voices, and was last updated by Whiskystats 5 months, 1 week ago. 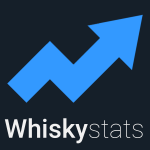 I really was happy that you are broarding your views at Whiskystats with the bourbons or american whiskies as I suppose it will revolve around. Even more happy I will be when you anounce your interrest for blended whiskies as some of them really are collectables and reknown. Butof course I will start to help you out with what I can with the images I have of my bourbons. . Thanks Pye, your support is highly appreciated! George T. Stagg was added to the list, thanks Hemicuda! at the moment we focus on bourbon distilleries and brands. Johnnie Walker will be added once we turn to blends, which should be sometime later this year. based on what is traded on auctions we added Angel´s Envy, Bulleit, George Dickel and Woodford Reserve to the list. We added Garrison to the list although it looks like these bottlings are hardly traded on the auction houses we track.